The Mayo A hydro facility has served Yukoners since 1951. It was developed to supply electricity to the United Keno Hill Mine at Elsa, about 45 kilometres north of Mayo. 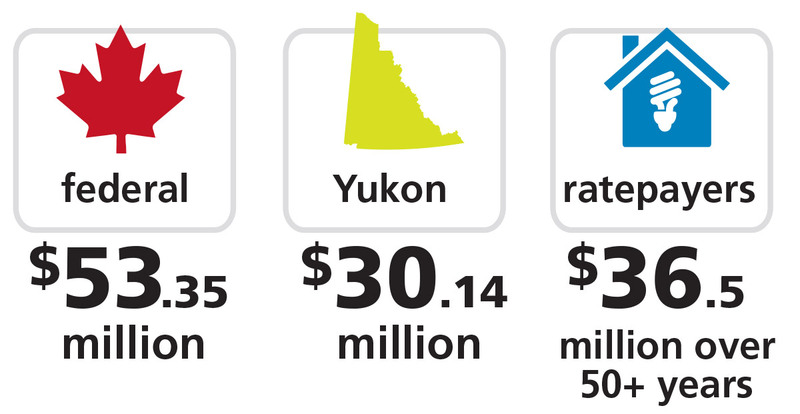 It also generates power for other Yukon communities via Yukon Energy’s transmission system. The Mayo B hydro project, completed in 2011, involved building a new powerhouse 3.7 kilometres downstream from the existing hydro plant (Mayo A). This increased our capacity to generate additional renewable energy at the existing site from five megawatts to 15 megawatts, without the need for a new dam or reservoir. Together the two plants can supply electricity to as many as 7,000 non-electrically heated homes. Mayo B was completed in December 2011. The Mayo B project was finished on time and budget. Contributions came from the federal government ($53.35 million), the Yukon government and Yukon Development Corporation ($30.14 million) and electrical customers ($36.5 million). The cost to ratepayers is being spread over the lifetime of the project (50+ years). Both our Mayo A and B hydro facilities are located in the central Yukon about 400 kilometres north of Whitehorse.